FINRA fined Brown Brothers Harriman & Co. $8 million for failing to monitor trades of 6 billion penny stock shares. 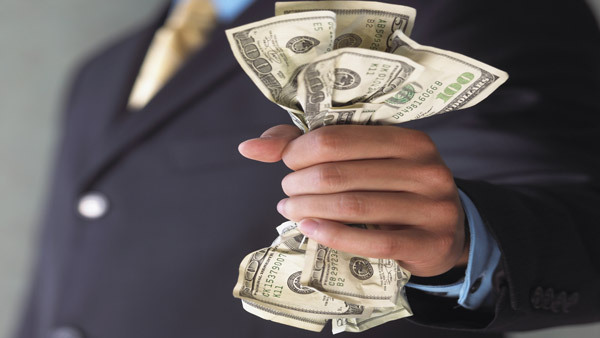 The Financial Industry Regulatory Authority said Wednesday that it had fined New York-based Brown Brothers Harriman & Co. $8 million for substantial anti-money laundering compliance failures — the biggest AML-related fine levied by the self-regulator. The firm’s AML violations include, among other related violations, failured to monitor penny stock trades — some to undisclosed customers in countries known for bank secrecy — that netted its clients at least $850 million. BBH’s former global AML compliance officer, Harold Crawford, was also fined $25,000 and suspended for one month. FINRA says that BBH also failed to sufficiently investigate potentially suspicious penny stock activity brought to the firm’s attention and did not fulfill its Suspicious Activity Report (SAR) filing requirements. In addition, BBH did not have an adequate supervisory system to prevent the distribution of unregistered securities. The second highest AML-related fine was ordered way back in January 2007, when FINRA — then the National Association of Securities Dealers — fined Banc of America Investment Services $3 million for failing to comply with AML rules in connection with high-risk accounts. Assessing firms’ AML procedures is one of FINRA’s exam priorities this year. As FINRA explains, penny stock transactions pose heightened risks because low-priced securities may be manipulated by fraudsters. FINRA found that from Jan. 1, 2009, to June 30, 2013, BBH executed transactions or delivered securities involving at least 6 billion shares of penny stocks. FINRA notes its Regulatory Notice 09-05, which discusses “red flags” that should signal a firm to closely scrutinize transactions to determine whether the stock is properly registered or exempt from registration, or whether it is being offered illegally. “BBH customers deposited and sold penny stock shares in transactions that should have raised numerous red flags,” FINRA said. In concluding these settlements, BBH and Crawford neither admitted nor denied the charges but consented to the entry of FINRA’s findings. Check out FINRA’s Hot-Button Exam Issues for 2014 on ThinkAdvisor.